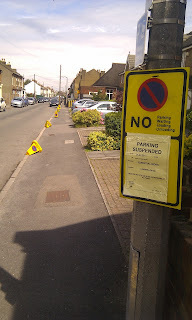 So the roadworks have begun. One day down, seven long months to go. 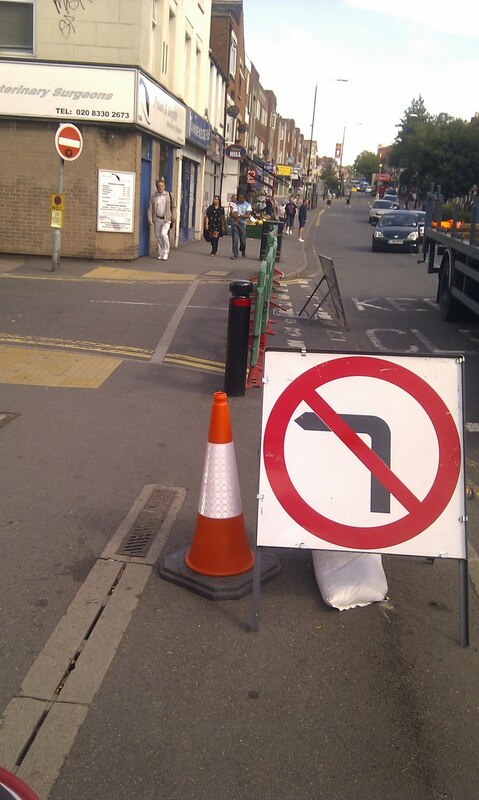 Fortunately, Sutton's finest brains have been put to work on the masterplan for ensuring that Worcester Park is unaffected by all these works. "Only Sutton council would go to the trouble of putting signs and cones up announcing that parking was temporarily banned on a stretch of pavement where parking has never been allowed in the first place!" 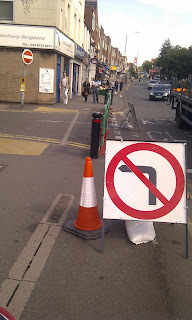 "Longfellow Road is a one way street, so left turns from Central Road have never been allowed anyway. Genius. Another pointless roadworks sign!" 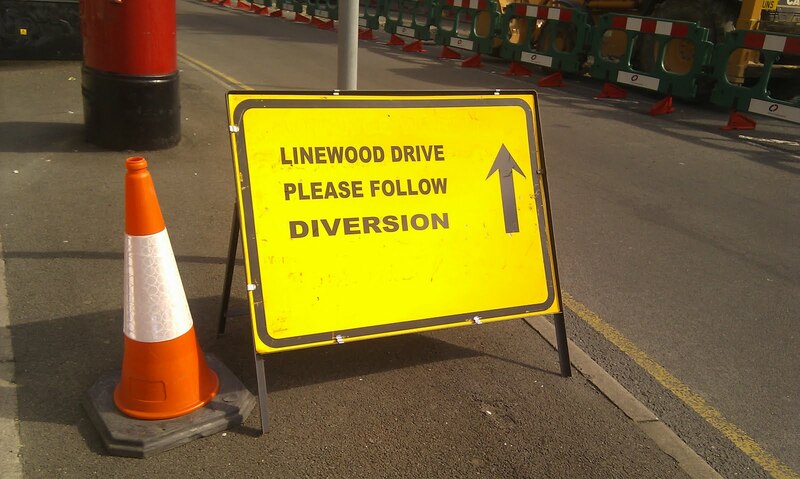 And finally, those residents of Lynwood Drive have not only had their road closed off for a week or so, but have had it renamed 'Linewood Drive'.